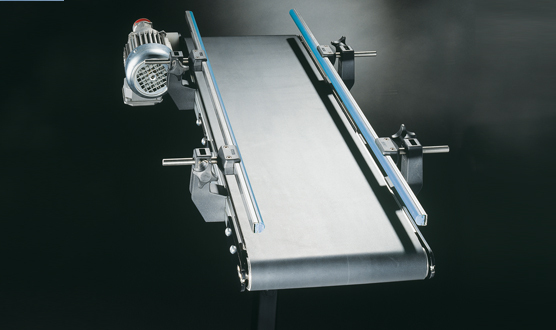 The Walther Flender belt conveyors are modular and easy to assemble with flat, torsion-resistant aluminium frames and their lateral profile groove allows signal transmitters and other components to be attached easily. 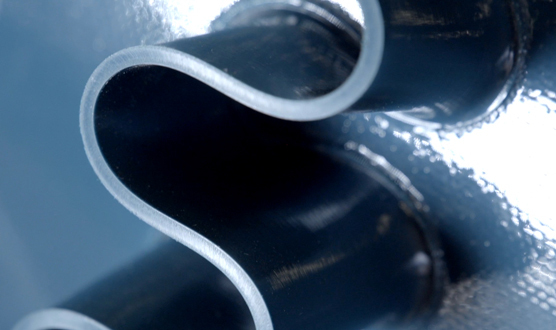 The flexible belt conveyors are available with a PVC or PU transport belt in many different versions and colours – e.g. to conform to FDA guidelines or with cross slats. 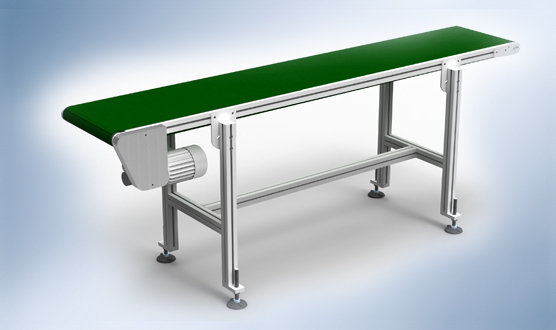 We offer the belt conveyors with head, centre or direct drive as standard. The drive is powered by a compact Walther Flender worm gear motor or, on request, with a drum motor. 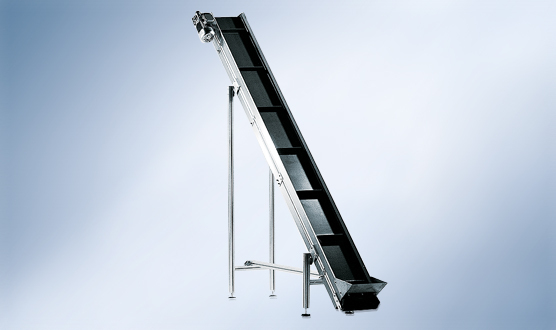 A large selection of accessories such as height-adjustable support legs, belt and lip seals or hoppers allow the belt conveyors to be adapted flexibly to your usage conditions. Our practical experience from industrial sectors such as nutrition & luxury foods, intralogistics, tooling machines, woodworking machines, transporting & lifting, measuring & testing, plastic & rubber, agricultural & forestry machinery, mining, building & construction materials, textiles & clothes, medical technology and printing & paper technology means that we are familiar with your specific requirements.